When competing for a home in a fast-moving housing market like Tampa Bay, buyers with an experienced mortgage broker who can get them the best possible interest rate and can close quickly have a competitive advantage. Furthermore, these buyers are positioned to get the best deal on a home. If you are thinking about buying a home in Tampa Bay, here is important information about buying a home in a hot housing market, while also getting the best deal. Tampa Bay is one of the premier places to live in the U.S., featuring a diverse lifestyle that includes world-class beaches, an outstanding job market, great schools, an abundance of cultural and recreational activities, and more. As a result, Tampa Bay is the third fastest growing housing market in the U.S., according to Zillow. Homebuyers in Tampa Bay, therefore, are in a competitive housing market, sometimes competing for the home of their dreams. 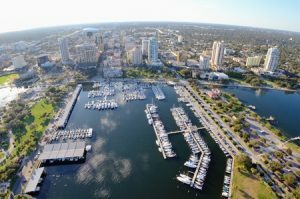 In a recent report by Realtor.com, Tampa ranked #18 among the top 20 real estate markets in the U.S. for January 2017. Again, this demonstrates that homebuyers in Tampa Bay are in a competitive housing environment. There are several things homebuyers can do when buying a home in a popular metro area with a fast-moving housing market, such as using a qualified Realtor with experience in the Tampa Bay market. For the remainder of this article, though, we explore how an experienced mortgage broker can give homebuyers a competitive advantage in a strong housing market, while also helping them get the best possible deal on a home. The process of being pre-approved for a mortgage can be broken down into two steps. The first step is pre-qualifying for a mortgage, which takes just a few minutes and can be accomplished over the phone. Homebuyers can immediately start looking for a home as a pre-qualified buyer, while working on the longer process to complete the mortgage pre-approval that requires buyers to submit a long-form mortgage application with information about their employment, assets, bank records, credit card debts, and other financial history. Homebuyers who work with a well-known mortgage broker that performs rigorous pre-qualifications have an advantage when competing for a home, and when negotiating with sellers. Why? Because mortgage brokers and lenders who do not thoroughly pre-approve borrowers often have home loans fall through, meaning that the seller and Realtors have invested hours of work that is wasted. Therefore, knowledgeable sellers often opt to sell their home to a buyer who has been pre-qualified by a mortgage broker with a reputation of performing rigorous pre-approvals, rather than risking months of work to have the sale fall through, because the borrower cannot get a home loan. Beyond a competitive advantage, rigorously pre-approved buyers can get a lower interest rate because of the work done to position them financially to qualify for a home loan with a low rate. And, they can close on the home more quickly, which is very appealing to sellers. Getting the lowest possible interest rate not only saves borrowers money, it also gives them a competitive advantage over similar homebuyers who are paying a higher interest rate. In the case where multiple buyers are competing for a home, the seller typically chooses to sell to a well-qualified buyer who will pay the highest price and can close quickly. For example, multiple homebuyers are competing for a home. They can all afford the same monthly payment, but one buyer has been approved for a home loan with an interest rate that is a quarter point lower. In this example, which home buyer has the competitive advantage to offer a slightly higher price to beat out the competition? Of course, it’s the buyer with the lowest interest rate, who can pay just a little more for the home and still have a lower monthly payment than the other buyers. Related: Why did my neighbor get a better mortgage rate? In an Entrepreneur article about real estate negotiations, the closing date is one of the top things homebuyers can negotiate. Why do sellers want to close quickly? Sellers can save a great deal of money by closing before their next mortgage payment is due. Some sellers need to close quickly on their home to buy another home already under contract. Other sellers are moving, and need to close on their home so they can move and purchase another home. Homebuyers who can negotiate a fast close can save thousands of dollars when a seller is motivated to unload their home quickly. Therefore, a homebuyer with a mortgage broker who can close quickly can beat the competition for a home, and also negotiate a lower price. How fast are people closing on a home with a mortgage? Today, we are closing in as little as 14 days from the time a contract is placed on a home. This contrasts with other lenders who tell buyers upfront they can’t close any quicker than 45 or more days.